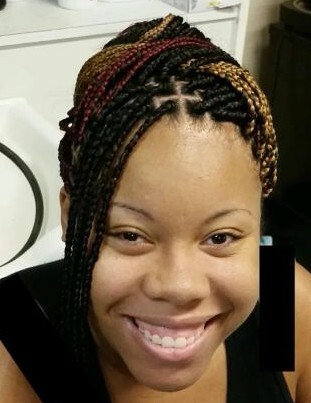 Sequanna Waynette Monroe, age 25 of 26 Johnsonton Mobile Home Park, Lillington, NC passed on Monday, February 4, 2019 at her residence. Sequanna Waynette Monroe was born January 3, 1994. She transitioned this life on February 4, 2019. “Quanna” was a devoted and loving mother, sister, daughter and friend. She had a very big personality, whenever you seen her she was always smiling. Always there when you needed her, she was someone that you could really count on. Sequanna had recently joined Love, Faith & Power Christian Ministries. She was preceded in death by her mother, Rosalind McAuley-Griffin; grandmothers, Myrtle Headen-Peoples, and Alice Jean Barrett and grand-father, Willie Page Monroe. Cummings; aunts and uncles: Blonnie Watson, Betty Jean Lombard, Hildra Darlington, Aubrey Darlington, Faye Greaux, Alicia Baldwin, Clarence McAuley, Vernon McAuley and Macklin McAuley; a special aunt, Victoria Sellars; a special uncle, Christopher Monroe Sr. and a very special devoted friend, Joseph Farrar and a host of other aunts, uncles, cousins, relatives and friends.